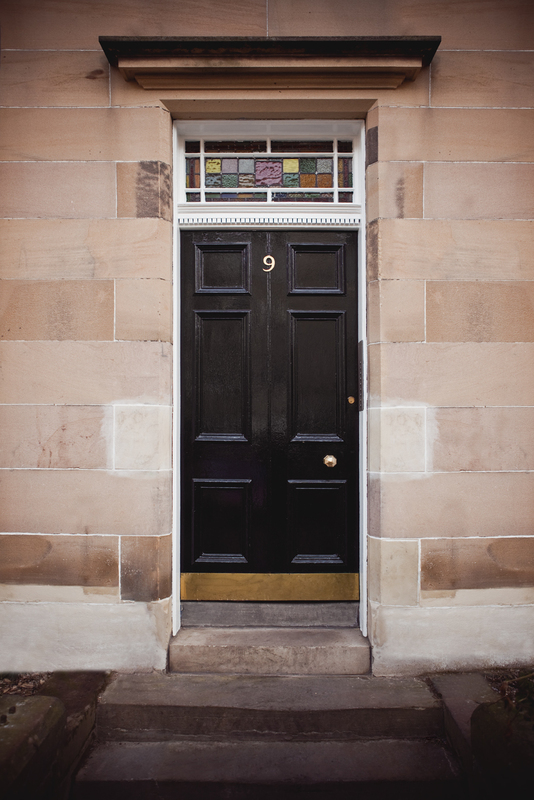 A rose by any other name would smell as sweet - a long standing member of The Edinburgh Address portfolio has had a name change. Begone 'The Gatekeeper's Cottage @ Blacket Estate' and welcome in 'Family Retreat @ Arthur's Seat'. We felt this name gave a better idea of the lovely family vibe of this great apartment and noted its great location very close to the famous landmark. You can enjoy all the comfort of home and then wander over to explore and check out the amazing view of the city from the top. This apartment will also now be accepting friends of the well-behaved canine variety. Pets can enjoy the lovely outdoor patio space as well; as long as they don't get under everyone's feet should you decided to make use of the BBQ! With the needs of the family in mind we've also arranged for parking facilities, available on request, so that every part of your stay is as straightforward and relaxing as possible. To enquire please call the office on 0131 629 8347 or see our listings. We spent the day yesterday getting our new property ready for its photoshoot and enjoying the spectacular 360 degree views of the Edinburgh skyline. 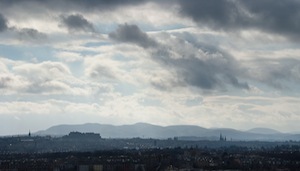 Even the dreich weather couldn't ruin the view; it only added a slightly gothic romance! 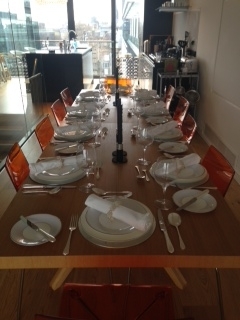 So, the table's set at the Quartermile for a delicious and intimate dinner party. The champagne's in the cooler, the bar is well stocked, the view is extraordinary, our private chef Stephen is putting the finishing touches to the food and the music is playing. You're all set to welcome the guests. There are 10 places - out of everyone in the whole of time and space, who would you invite? In honour of our beautiful Stockbridge Grandeur @ Carlton Street, take a look at our top 5 things to do in Stockbridge. Our favourites are Daisy Cheynes with its great eye for beautiful pieces for your home and that perfect gift for someone special and Feminine Flair for their gorgeous clothes. Stockbridge is all about these independent stores and boutiques and it’s great to support local businesses! Stockbridge market is on from 10am to 5pm every Sunday on the main street making it the perfect place to visit to pick up some fresh pastries for breakfast, gifts to take back home for the family and some sweet treats for you to enjoy as you go! Stockbridge is fast becoming a foodie’s paradise! Purslane is our fave, which offers a menu reflecting the seasonal produce available. The restaurant is cosy and perfect for a romantic meal. For a bit of luxury, try their 7 course tasting menu (when available), which gives you a chance to try several of their best loved dishes – booking in advance essential. Begin a leisurely walk in Stockbridge and head towards Dean Village, a beautiful part of Edinburgh which is unknown to many (even locals!). The area has a lovely village atmosphere and many of the people living here have stories to tell about the history of the area and the buildings. From Dean Village you can walk along the Water of Leith, visiting St Bernard’s Well on the way and either circling back to Stockbridge, or making an afternoon of it and walking right down to Leith. There are several small galleries in Stockbridge, but our favourite has to be Galerie Mirages for it’s mysterious and magical feel. Hidden away on Raeburn Street, you enter through a narrow corridor and come into a huge room filled with treasure! From antique jewellery, to unique ethnic furniture pieces, you’ll find something special to take home with you here. 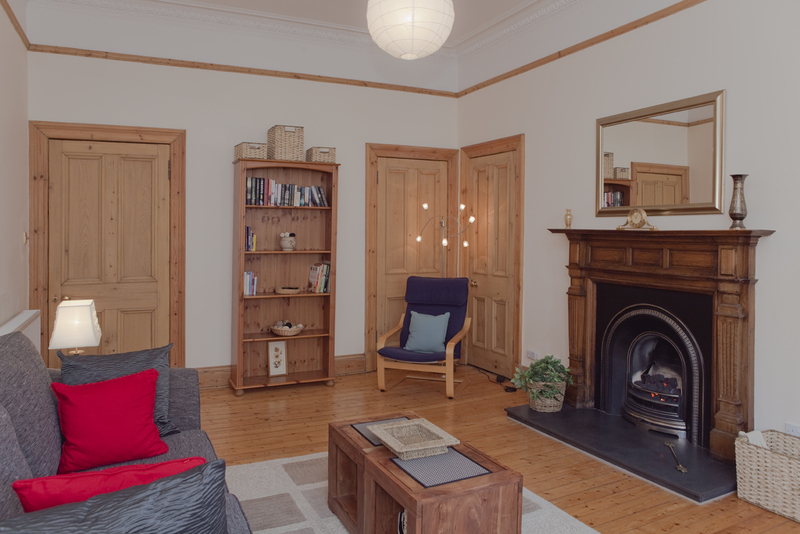 Stockbridge is the perfect place to stay in Edinburgh, easy to get to the main hustle and bustle of the city centre but allowing you to enjoy the relaxed village feel of this up and coming area. 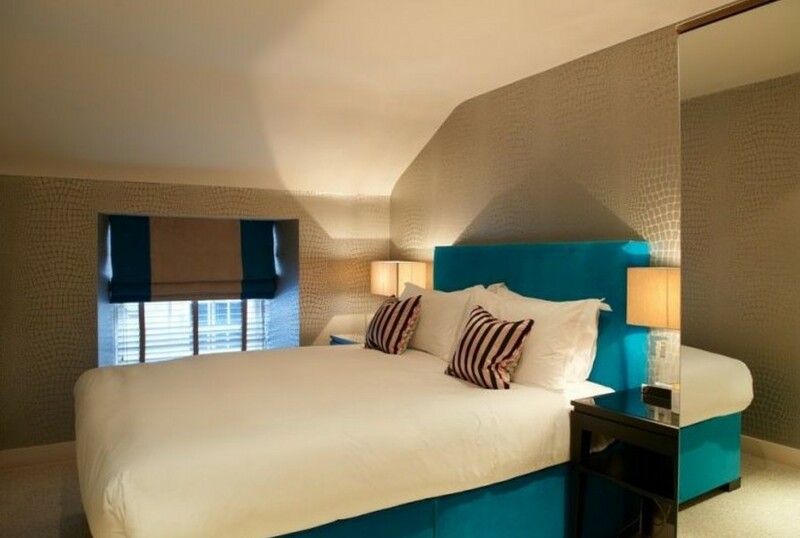 Book your stay at Carlton Street now! For more ideas, check out Aija’s blog on The Best Of Stockbridge. 1) The pictures don't match the reality. You think you've booked a five-star luxury castle in the Highlands of Scotland, you've been daydreaming over the picture of its medieval turrets sillhouetted against a dramatic skyline...you arrive to find you'll be spending your hard-earned break squished into a children's playcastle, knees against your chest. Ok, so this is clearly an extreme example, but people do worry about holiday rentals not living up to the glossy photographs. Really though, misrepresenting our lovely apartments really isn't in our interests either - our aim is to make your stay fantastic beyond your expectations, not fall short the second you step in the door. We want you to arrive and think 'Wow! This is every bit as amazing as I hoped' and providing pictures which give you a real sense of our properties is one of the best ways we have to achieve this. Besides, our apartments are so beautiful anyway that we don't have to manipulate angles and frames. We're proud of them and want their inherent class to shine through. You only have to look at the picture of our new apartment, City Centre Haven @ York Place, to get a sense for its exceptional attention to detail and easy elegance. 2) It feels odd to be staying in someone's home. Most of our apartments are people's second homes, valued and loved by their families, but this is absolutely no reason why you can't love and appreciate them too. They're proud of their apartments, love Edinburgh, and want to share the experience of being here with others. There's no need to feel odd! Just enjoy your time, treat the apartments as your very own temporary home, explore the city, see the sights and write our owners a message in the guestbook or send us feedback to let them know that you loved being there! They'll only ever be pleased to have passed a little bit of happiness along and it's our raison d'etre to make your stay outstanding as well. The owners and the team at The Edinburgh Address get the satisfaction of participating in your happy holiday memories and you can have the most comfortable time possible. Everybody wins and nothing odd in sight! This one simply isn't true. Some holiday homes are more than others, but compared to hotel prices staying in a rental property is dramatically better value for money. Especially if you have a large group looking for more than one bedroom. Staying in one of our apartments can really offer you the best value while also providing a high standard of luxury which simply wouldn't be possible in a hotel of the same price bracket. On top of this, holiday homes cater for a much wider range of requirements. We have apartments for couples, families, corporate guests, long stay guests, city breakers, international travelers, and they all have completely individual characters to suit even the most idiosyncratic guest down to the ground. No more standard issue hotel rooms! Rental provides both a sense of individuality and independence and great value. 4) The properties aren't well maintained. The turnaround team would take exception to this idea! Whenever a guest leaves one of our apartments we make a thorough check to make sure that everything is ship shape, top notch, and ready to go. In the rare event that something does go wrong then you only have to call our 24/7 help number to receive immediate assistance. In the long term, we're committed to keeping the apartments at the very cutting edge. They're regularly updated and polished to our high standard to make sure that you will never be disappointed. This goes back to our pride in our apartments - we want you to be impressed too! 5) The properties aren't cleaned properly. We have a team of professional cleaners who make sure all of our apartments are cleaned to hotel standards. This also includes towels on your bed, toiletries, and a welcome pack. If you're staying long term then we also include complementary cleans and fresh linen so that you have that hotel fresh feeling for the duration of your stay. Choosing to stay in a self-catered apartment allows you to build a really individual experience for your trip away. 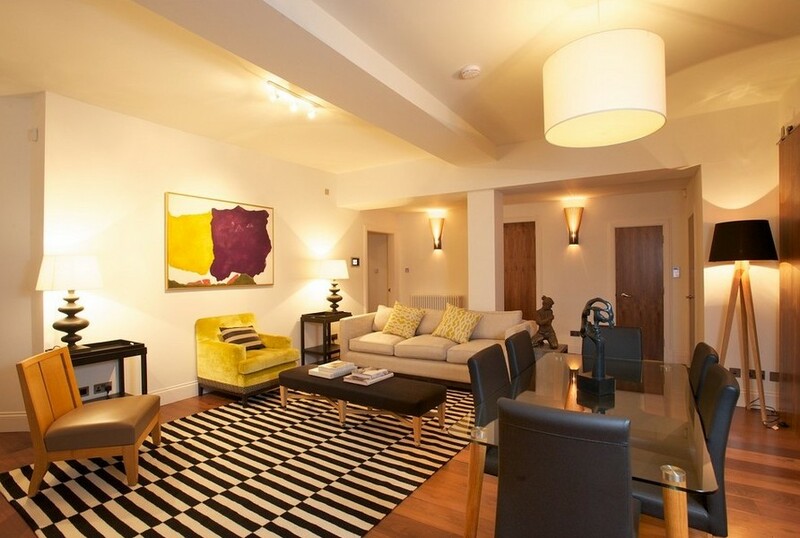 All of our apartments have a distinct sense of character and offer a unique experience. Combine their diverse styles with the reasons listed below and you can really make your stay your own. With self-catering you can have the feeling of home and intimacy with enough room for everyone to do their own thing without stepping on each other's toes. You also have the option of a cosy night in; if you've spent the day exploring the city then a movie marathon and popcorn in a large and comfortable living room could be the perfect end to the day. There's no need to rush back out again to keep the troops entertained. If you're in the city for business it's great to be able to come home at the end of the day rather than check into a hotel room where you're living out of a suitcase. Stretch out in a living room on a proper sofa, invite some colleagues back for dinner, or if you're here for while then bring your family to explore the new city with you. It's your day and you can plan it exactly how you want it. Or not plan it at all. Self-catering really puts the control back in your hands. If you fancy having breakfast at midday then do! If you don't want to have to worry about eating lunch out then pack it and take it with you. You don't have to fit in with a pre-arranged schedule or miss out. You won't be missing hotel meal times and eating out instead, not unless you want to! And you can come and go as you please without waiting to pick up your key. There's nothing to stop you spending your time exactly as you choose. Avoid the awkward hotel corridor shoulder brush with the family from room 109 who you spent all dinner glaring at as their children kicked up a fuss over the boudin noir aux pommes. If you are that family then you won't have had to suffer that embarrasment in the first place - if the kids want to live only on fish fingers and custard then having your own kitchen means they can. Your apartment is your own little haven to return to after a day of adventuring or work. You can really get the feeling of home cooking in a well-equipped kitchen, kicking back in a great living room, stretching out on fresh linen in your comfy bed, and knowing that you won't be disturbed. For families with children, you know that they'll be able to sleep uninterrupted through the night so that you can have the evening for yourself. 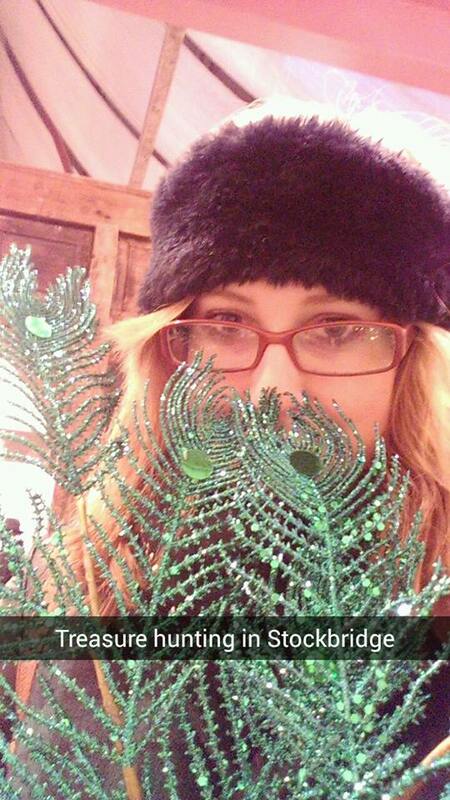 It's your holiday too! For those here on business, there'll be no baby in the room next door to keep you awake either. Perfect! Besides the fact that self-catered apartments are often much less expensive than hotels in the first place, you'll also have a lot more control over your expenditure. Eating out really adds up! 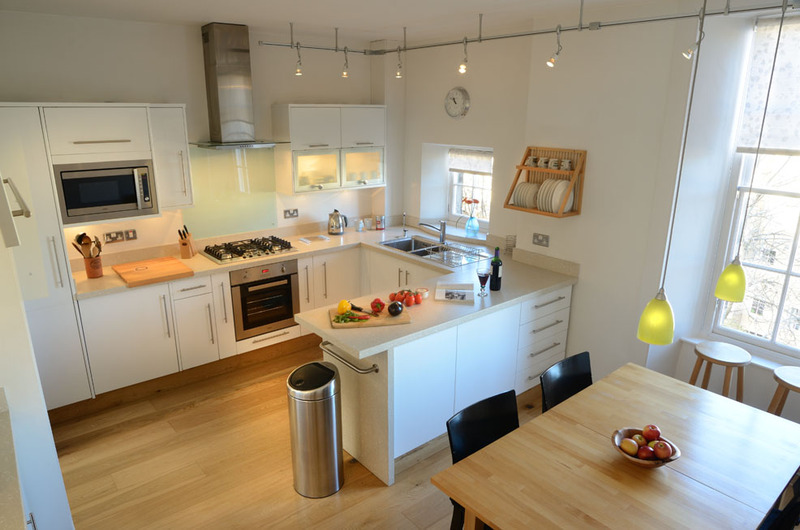 With self-catering you can explore the local markets, such as the one in Stockbridge, and try out the fresh produce to get an authentic experience and feel like a local while keeping an eye on how much it all costs. All of our apartments have free, reliable wifi and there are no hidden costs. Everything is transparent and easy, cleaning equipment and welcome packs are provided so you only have to buy what you actually want. You can even pay in installments running up to your stay if it's easier; just phone the office. So there you have it! 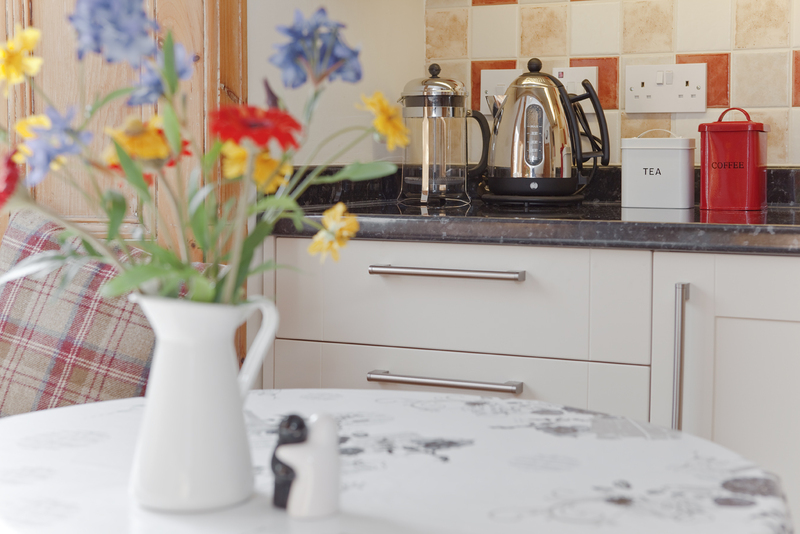 There are loads of reasons to book a self-catering holiday. But if you still fancy a wee bit of the extra service a hotel provides then you're in luck. We also offer a tailored service with extra cleans, late check-outs, private chefs, beauty treatments, and tours so that you can have your stay exactly how you want it. Or if you simply need recommendations for restaurants, activities, or bars then we're always happy to advise. If there's something you'd like then ask when you book and we'll do our best to help. Our gorgeous Sunny Haven @ The Meadows is here and ready for bookings! To celebrate the launch of the beautiful brand new apartment we’re giving guests who stay in Sunny Haven 10% off their booking from now until June 1st! 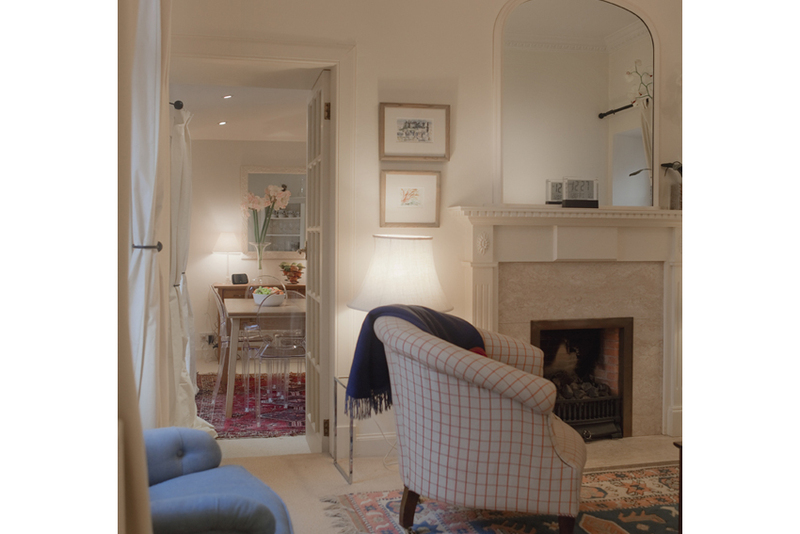 Just hearing the name makes us smile this classic Marchmont apartment a wonderful homily and lots and lots of natural light! This beautifully sunny haven has a large kitchen and spacious living room. Newly renovated and decorated with great thought to give a welcoming and homely feel. 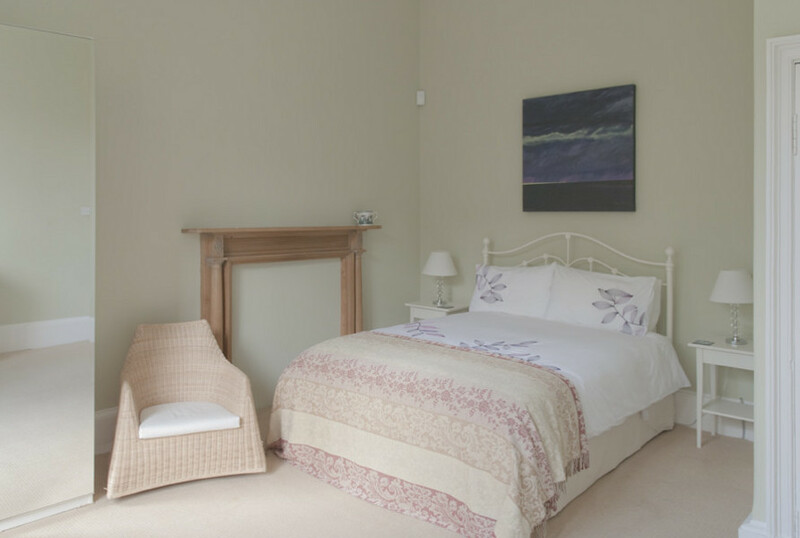 Sleeps 4 and provides excellent accommodation for leisure or business. Upon opening the front door you are greeted by a large well lit hallway, complete with mantel piece doubling as a shelf. Coat hooks, hardwood floors, quirky doorstops, a large mirror and stained glass over the front and bathroom doors add to the lovely homely feel. The large living room has plenty of places to sit and relax and guests can take advantage of the stacked bookshelf and board game collection. A large bay window offers a wonderful view and a gas fire to keep you cosy at night. 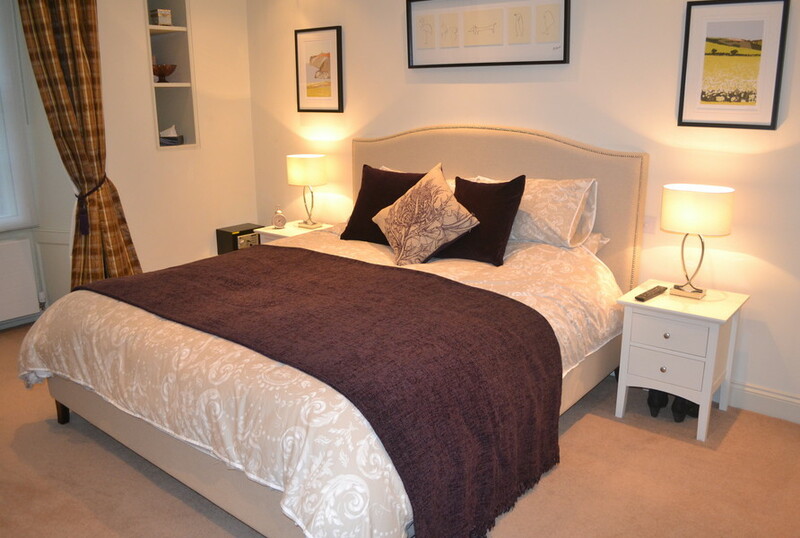 Both bedrooms have full sized wardrobes as well dresser drawers and bedside tables. The master bedroom has a large window and ornamental fire place and the second bedroom has a pull out desk that looks out over the garden. When entering the kitchen you would be forgiving for thinking you’d stepped in to a large sun filled farmhouse kitchen – it’s beautiful! It has all modern appliances as well as a sofa and a TV. There is a comfy window seat and the windows offering plenty of light - even in the winter months. 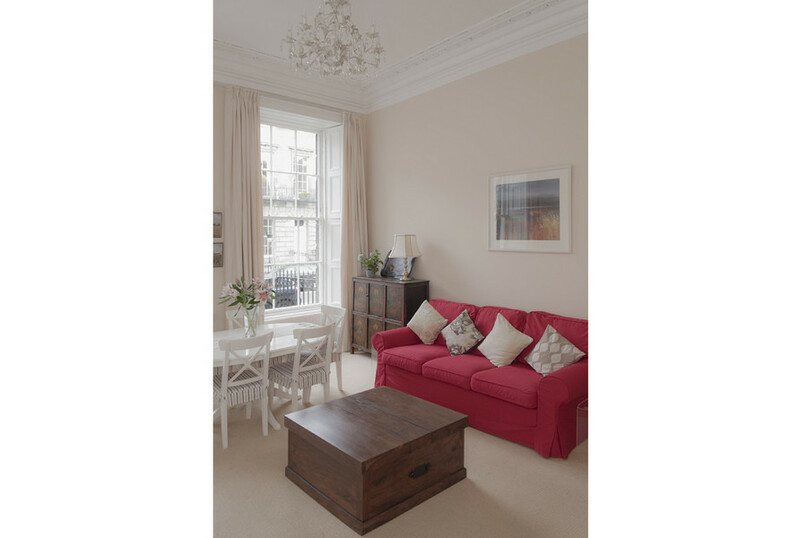 The personal touches as well as the large space make this a perfect apartment for families or groups who want to enjoy all Edinburgh has to offer! 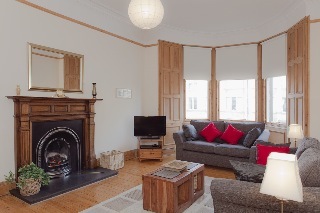 Just minutes’ walk from the Meadows and a short walk or bus ride to Edinburgh University, the Royal Mile and city centre - this apartment is ideally located to take advantage of Edinburgh’s main attractions as well as the fantastic local amenities such as restaurants, delis, cafes and bars. To claim your 10% celebratoy discount simply proceed with your booking as normal by following the yellow ‘book now’ button here, and then put in the promotional code SUNNY13 when prompted to apply the 10% discount. We think you’ll love this heavenly apartment as much as we do! *Cannot be used in conjunction with any other promotional codes or deals. 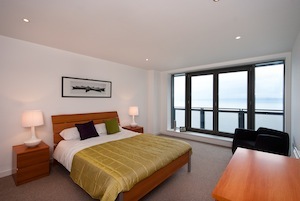 We are now offering one night stays in our beautiful newly added apartments! Spoil yourself and your family in Rocpool Apartment @ Grosvenor Crescent 1A, Rocpool Apartment @ Grosvenor Crescent 2 or Rocpool Mews @ Atholl Crescent. Of course you don't have to stay just one night - after seeing these apartments we think you'll want to stay much longer! For information on these, or any of our beautiful apartments visit us here. In the last few days we’ve had frosty windows and rosy cheeks and the first real sprinkling of snow, winter is definitely here! Edinburgh is absolutely stunning during the festive period and we feel so lucky to be able to share the magic of our city with our guests! Edinburgh is full of wonderful things to do to get you in the festive spirit. Princes Street Gardens is transformed into a spectacular Winter Wonder land! Become a child again and ride the big wheel , it offers amazing views, shimmy down the helter skelter or soar through the air on the flying carousel . Hundreds of little wooden chalets in the Traditional German Christmas Market pop up selling everything from handmade gifts to sweet treats like candied nuts or savoury bratwursts. Don't forget to check out the Highland Village Christmas Market either. Indulge in a glass of mulled wine and use the cup as a hand warmer as you puruse the stalls or after ice skating treat yourself to a rich hot chocolate while you get your breath back! Fancy meeting Santa and his reindeer? He is pretty busy this time of year but he visits Edinburgh with his sleigh daily. Winter in Edinburgh is also a great time to visit the theatre , everything from Dirty Dancing to Puss in Boots, The Snowman, Cinderella and more are on over the festive period. If you’re feeling fit or want to make a pre-emptive strike on the mince pies The Great Edinburgh Santa Run is for you, dress up, have fun and raise money for charity in the process. Although the Winter Wonderland in Princes Street Gardens is the biggest market there are still lots of other festive things to do around the city. Castle Street and Broughton Street hosts a festive farmer market and Summerhall has a market billed as ‘a fashion, food and cultural extravaganza’ Click here for a full list of Chirstmas Markets and Events. 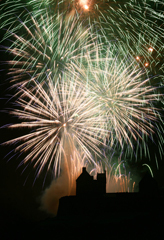 Are you 'lucky' enough to be in Edinburgh for Hogmanay ? Why not get tickets to the world famous Edinburgh Street Party or Concert in the Gardens? Feeling the Chill? Join 25,000 people in a spectacular Torchlight Procession led by Shetland’s Up Helly Aa’Vikings and massed pipes and drums culminating in a fireworks display on Calton Hill. It’s free to attend but if you want to buy a torch there is a charge and you’d better be quick, they sold out last year! 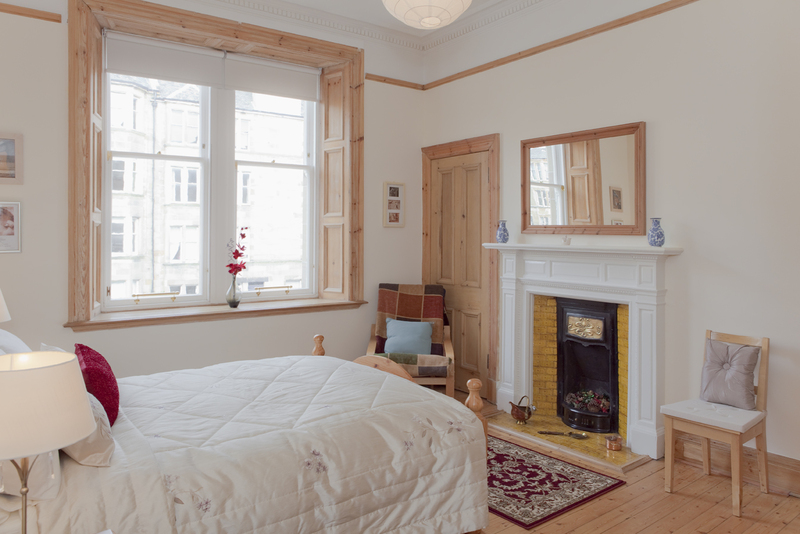 As always, The Edinburgh Address is the place to stay in the city and this year we are so pleased to be featuring two very special apartments, one over Christmas and one for New Year. Spend a magical Christmas in our magnificent 5* Castle Terrace @ 9A apartment complete with bespoke designer interior and striking views of Edinburgh Castle. It’s the perfect place for an exquisite holiday. 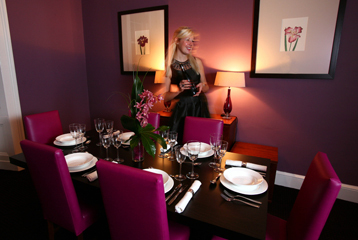 Edinburgh is famous for our New Year's Eve party and there is nowhere better to spend it than in our fabulous South Charlotte Street @ Charlotte Square apartment. 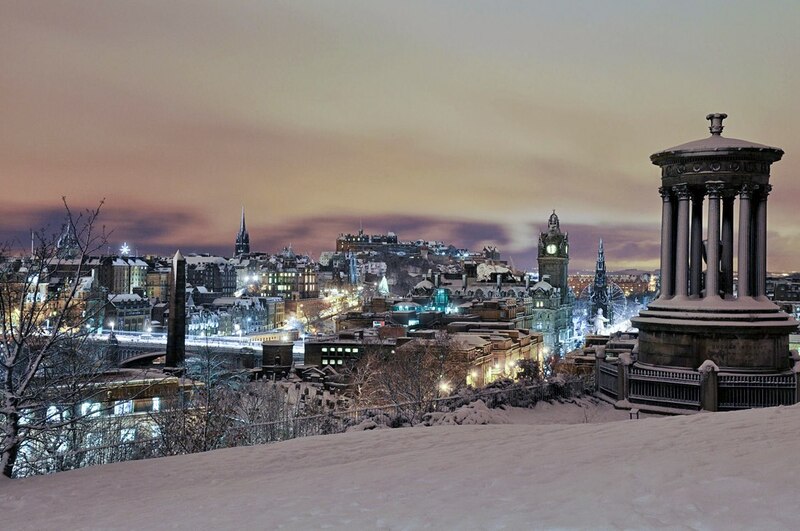 Right in the centre of the city you will be in for an unforgettable Hogmanay! 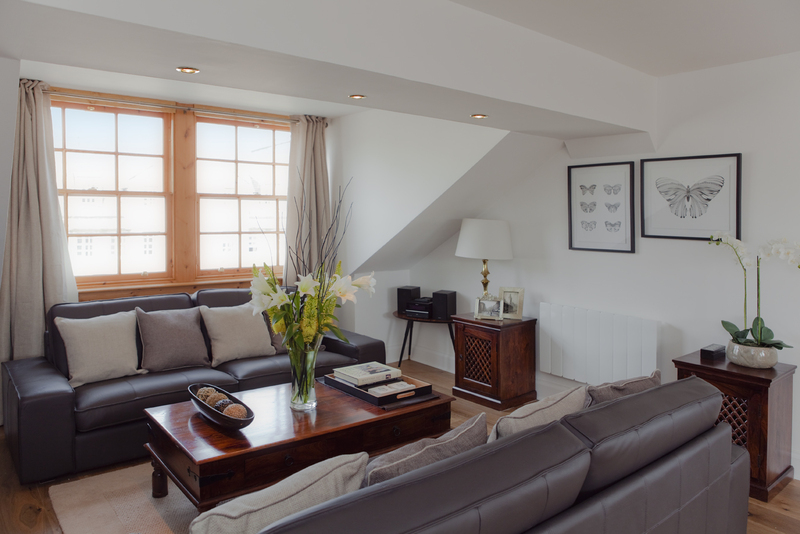 Book either of these apartments and we’ll happily provide a bottle of bubbly, chilled for your arrival and some mince pies to get you in a celebratory spirit. This festive season Edinburgh Sparkles! 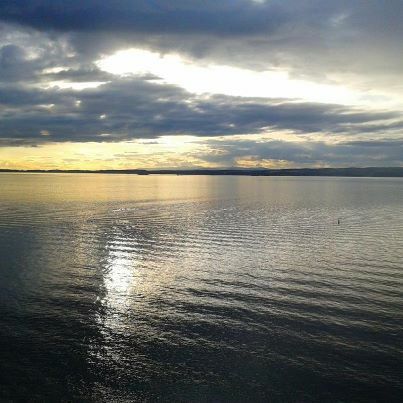 Sometimes, when you’re in the city centre it’s easy to forget Edinburgh is a city beside the sea. The Leith area of Edinburgh was once a busy shipping port where ships unloaded their cargo and Edinburgh merchants collected it. If you’ve ever been walking around Edinburgh city centre at lunch time you may have seen or heard the One O’Clock Gun being fired. This Edinburgh tradition was started so that ships that sailed the Firth of Forth were able to check their chronometers in the days before accurate time pieces were available. These days Leith is a thriving hub of boutique shops, delicatessens, restaurants and pubs. Tom Kitchin, who appears regularly on Masterchef, has opened his own Michelin stared restaurant, The Kitchin on Commercial Street, and champagne bars and seafood restaurants such as Bond No9 and The Ship on the Shore see people migrating from the city centre to eat by the sea. Leith has a large shopping and dining complex called Ocean Terminal which includes a large cinema, gym and spa. It is also the final home of The Royal Yacht Britannia, the Queen’s Yacht which is now open to the public and is a Fantastic tourist attraction. 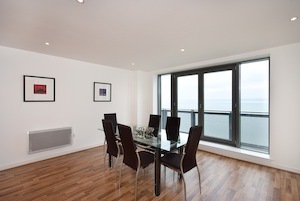 We are lucky enough to have two properties in Western Harbour, Edinburgh Panorama and City Scape. These flats are both beautifully luxurious with amazing views across the Forth and back up to Edinburgh Castle and the Pentland Hills beyond. Please ask us for any more information about these flats or any of our properties and don’t forget to ‘like’ us on Facebook and follow us on twitter for special deals! Two New Apartments online in May! Something new from the Edinburgh Address! Enjoy a fresh perspective, with our extremely deluxe 3 and 4 bed duplex apartments which enjoy unbeatable views due to the position and scale of the stylish buildings! Uninhibited views across Edinburgh Castle, Arthurs seat and other famous Edinburgh landmarks, plus the impressive panorama of the forth road bridge and coastline of Fife. Fantastic choice for guests, with the desirable area of The Shore just minutes walk away and The Stylish Ocean Terminal shopping centre and The Royal Yacht Britannia. 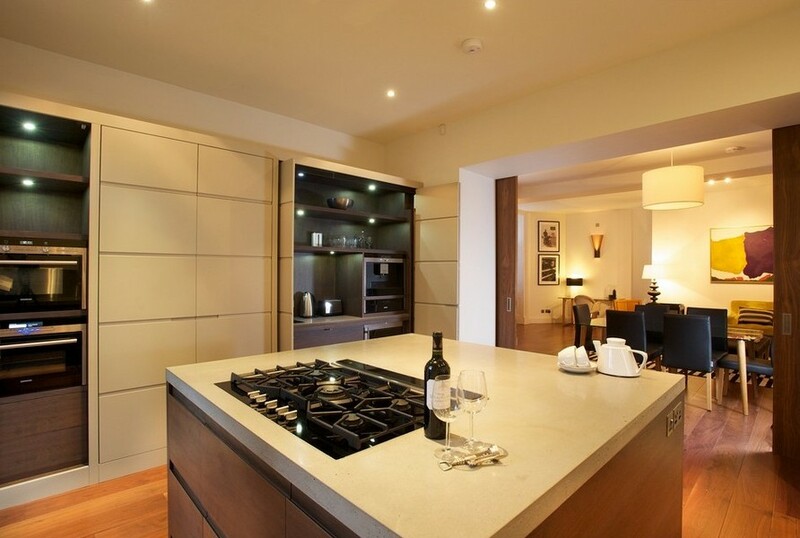 Slick, modern finishes and designer kitchens, high spec bathrooms and en-suites. The city centre is only a short bus or taxi ride away. The Manorhouse Apartment@Ravelston Dykes has got a new Ipod docking station, a new tv in the master bedroom and another tv and dvd player in the double bedroom. A lovely new blind has also been installed in the kitchen. 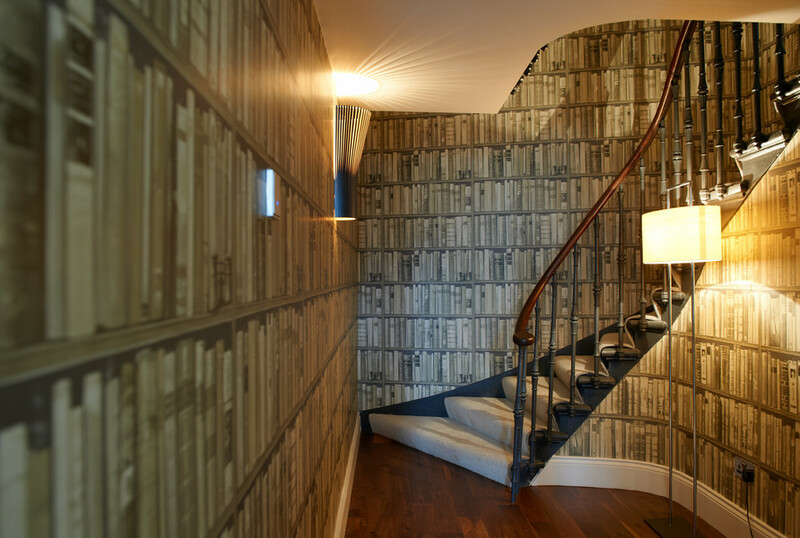 The Causewayside Apartment has got some lush new wallpaper in the king bedroom and as we speak the owner is choosing paper for the superking room! Photos to come soon. New on our books in July, we are delighted, as are our guests, with Harden Place Apartment. Light, bright and finished to a high standard it provided great accommodation for groups and is extremely good value. 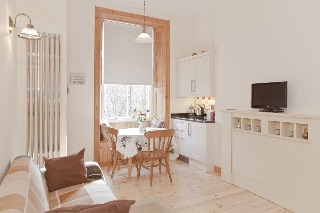 Moreover it is a short bus journey to the city centre or is a short walk from the shops and bars of lovely Bruntsfield. Take advantage of our Special Offer on just now if you book in September 2012. 22% Discount plus two bottles of wine!! View the Harden Place Apartment. Fab apartment, has everything you need and more! Plenty of space for 6 people and everything is finished to a very high standard. Beds are really comfy and the little extras like the radios in the bathrooms make your stay that little bit more enjoyable. Only took 5-10 minutes on the bus into the City Centre and the bus stop is right at the end of the street with buses every 10 minutes. Would definitely stay here again! 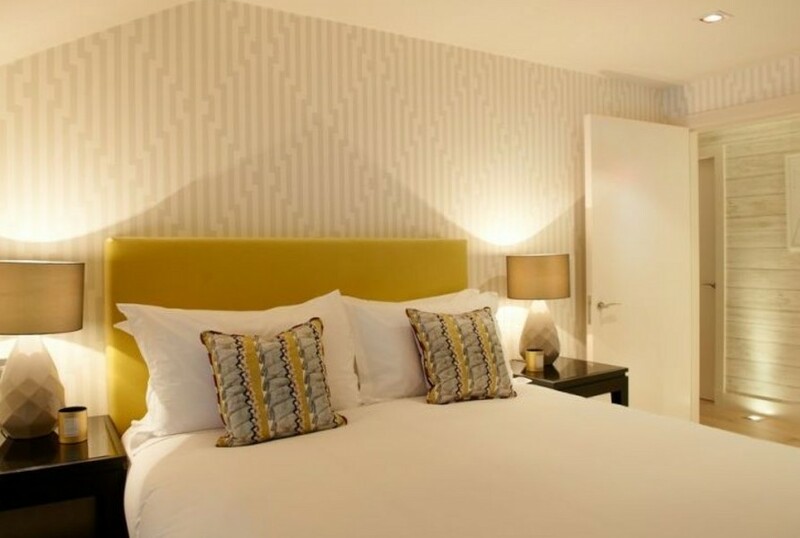 The Stylish City Break@Gayfield Square is back for August! Special offers available as only just back on our books today! 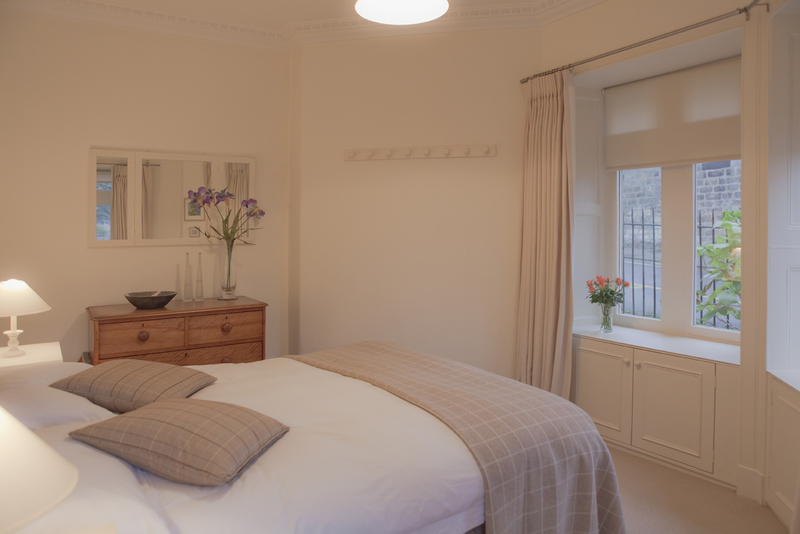 We are delighted to welcome The Stylish Garden Apartment@East Fettes , Harden Place Apartment and The Old Schoolhouse@Dean Village to our portfolio over recent weeks! 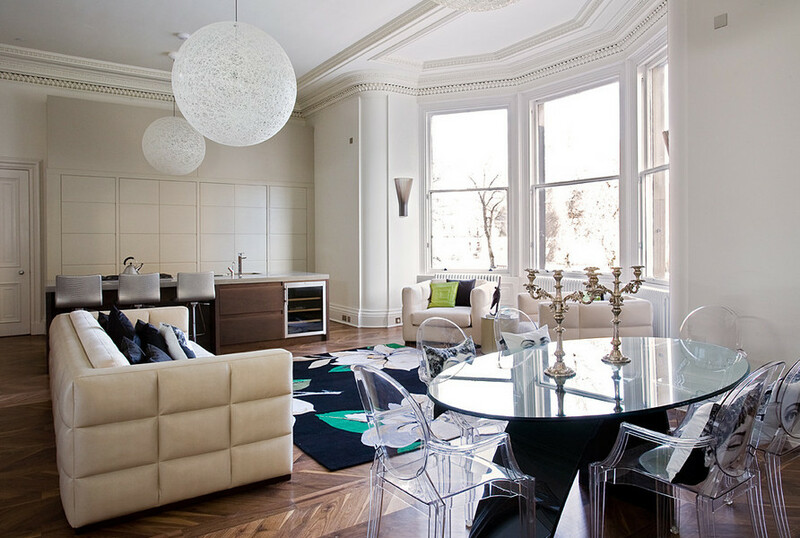 All offer guests something special, with The Stylish Garden Apartment@East Fettes having probably the most gorgeous interior we have seen! With each carefuly sourced piece of furniture complimenting the other and the colour scheme. We especially love the vintage French schoolchairs and table and the sofas which are the same type as those on The Apprentice! It offers a great location to guests, slightly out of the hubub of the city but a few minutes walk from the delightful area of Stockbridge with its own village feel. With secure underground parking. 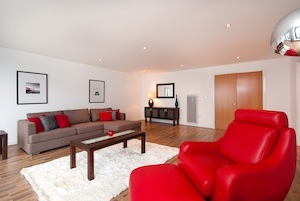 As it is so new we do have August Availabilty at this apartment - do check the calendars online! Harden Place is packed full of great surprises, from the steam room to the audio sound system in the bathrooms to the bespoke handcrafted wooden furniture. It is an excellent choice for groups or three couples as has three bathrooms and three bedrooms which is really quite rare!! It is just minutes walk from the shops, bars and restaurants of Brunstfield and offers easy access to city centre. Again as so new we have August Availability - do check the calendars online. The Old Schoolhouse@Dean Village must be in one of the most enviable locations, just 5 mins walk from city centre, yet in the lovely village setting of Dean Village. It is on three levels, a quirky and very pretty apartment decorated to give a boutique feel and complete with with its own parking space. 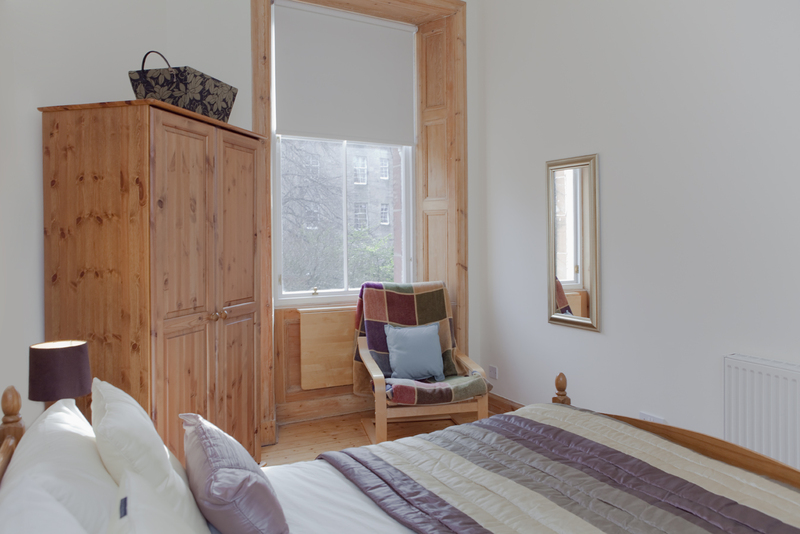 Anne Marie and I are so excited about the new addition to our portfolio; a gorgeous West End Apartment on Lynedoch Place. We are confident our guests will love it! 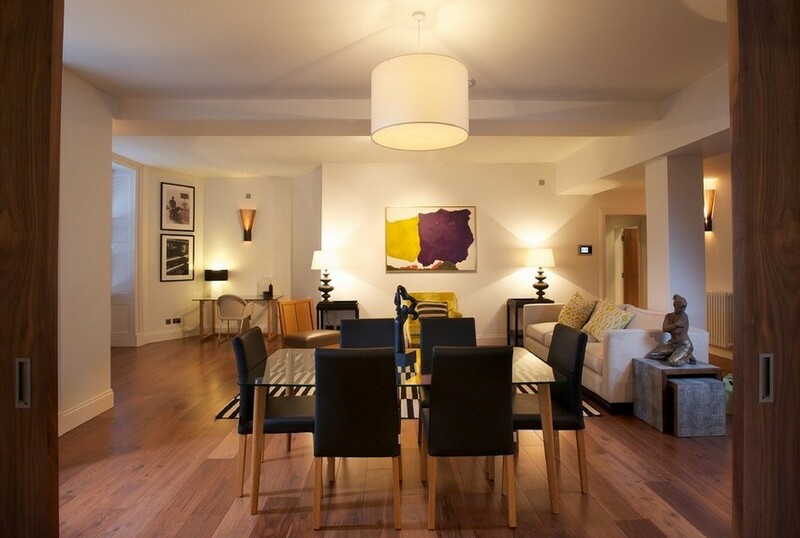 It is a simply perfect, first floor West End apartment that is an ideal choice for both business and pleasure, with its enviable position just 5 minutes from Princess Street and Edinburgh's Financial District. 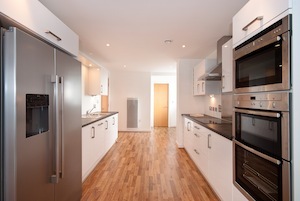 We are very excited about the recent addition to our portfolio - a fabulous apartment on Gayfield Square! Not only is in the most perfect location for The Playhouse and within a short walk to the city centre, it is a gorgeous apartment itself. So beautiful that Anne Marie and I were thrilled the day the owners gave us the keys and we could spend time setting it up for photography. We are absolutely sure our guests will enjoy spending time here. It is indeed a special and unique base to spend time while in Edinburgh. It really does tick all the Edinburgh Address boxes! 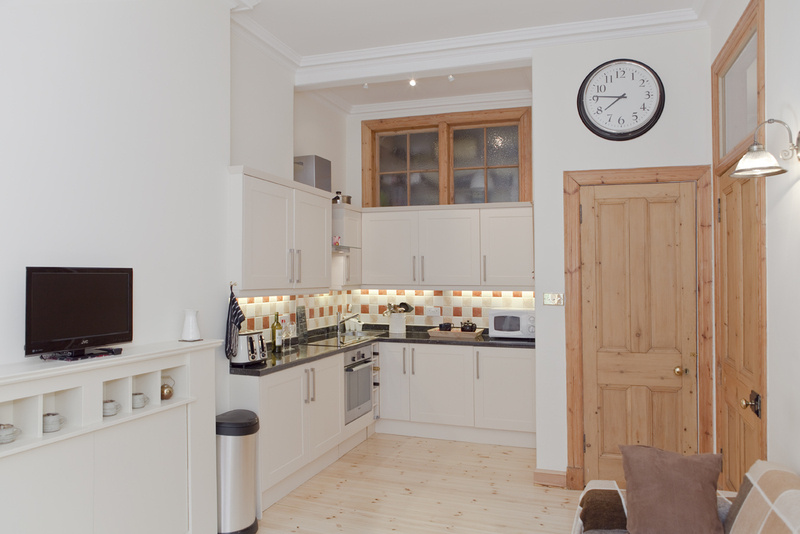 The 2 bedroom (one ensuite) apartment has a spacious sitting room and kitchen. 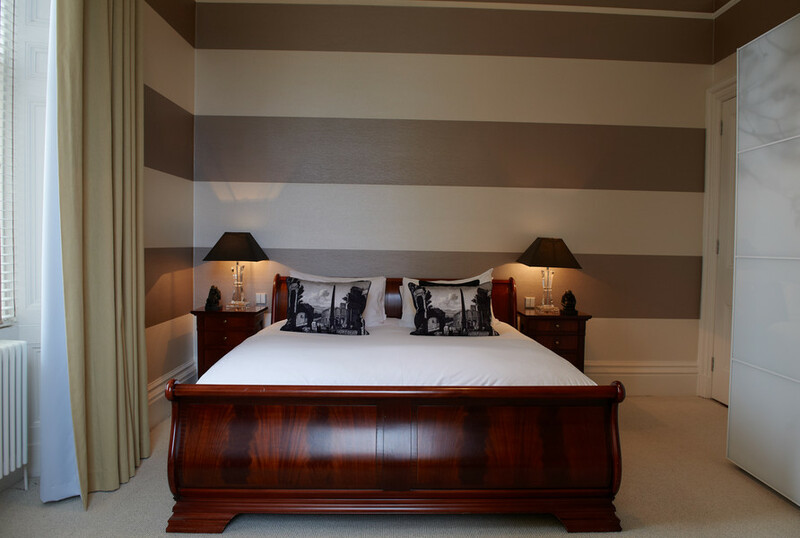 Every aspect of the refurbishment has been done tastefully and with extremely high quality materials and fittings. Light streams into the apartment in every room and to top it off the lighting is by the designer glass maker Adrian Sankey. 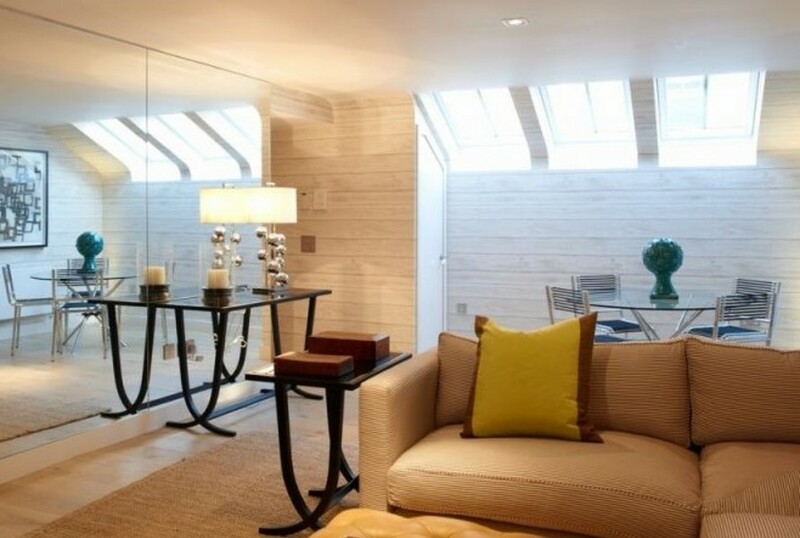 http://www.glassmakers.co.uk/ The contemporary pieces complement and enhance the rooms and are the perfect finish to this superb property. The photoshoot is next week and we look forward to having the property live within the next two weeks. Please contact us now if you wish to enquire about it as advance bookings are being taken. "The Best View of Edinburgh Castle in the Capital..."
"...this is quite possibly the best view of Edinburgh Castle in the captital..."
Malcolm Duffin Design & Decoration (www.malcolmduffin.co.uk) were commisioned to produce two properties with unique eye catching interiors. With their flock wall paper, bespoke furniture, "zebrano" effect kitchens and colour-coordinated splashbacks, this has deifinately been achieved.. and the article corroborates this! Edinburghs world famous new year celebrations are creeping ever closer, and we have a number of properties which are ideally located for guests wishing to visit during this time. Check the official Edinburgh's Hogmanay website for full details. 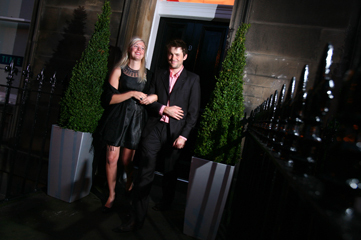 To celebrate the launch of our Castle Terrace properties, and the close of another Edinburgh Festival, we held a cocktail party for select guests who were able to behold the superb views of the Fireworks display over Edinburgh Castle. To enjoy these breathtaking views yourself at next years Edinburgh Festival or to celebrate New Year contact us now to book one or both of the Castle Terrace Apartments. Each apartment sleeps up to 6 guests.